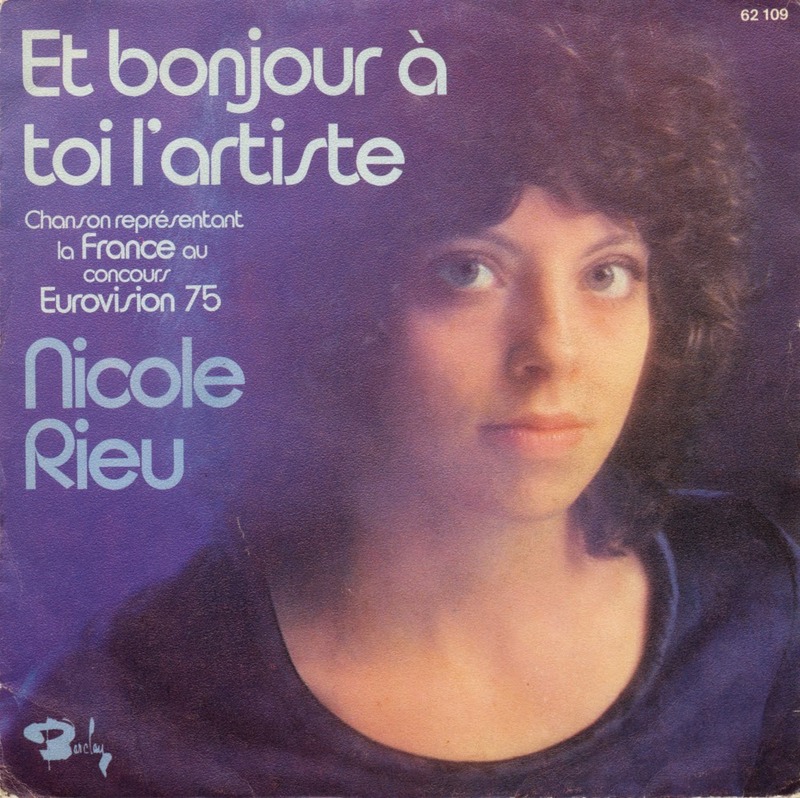 'Et bonjour à toi l'artiste' ('And a good day to you, artist') was the French entry in the Eurovision Song Contest 1975, performed by Nicole Rieu. The song was performed third on the night . At the close of voting, it had received 91 points, placing 4th in a field of 19 contestants. The song is a subtle ballad, with Rieu greeting 'the great artist' and reminding him or her that it is time to get to work painting. The artist is also described as an author, an illusionist and an actor. Rieu recorded the song in no less than six languages; French, English ('Live for love'), German, Spanish ('Dios te guarde buen artista'), Italian ('Buongiorno artista') and Japanese ('Soyokaze no okurimono').